The crew of one of the tanks that broke through the gates of the Independence Palace in Sai Gon in 1975, and the journalist on hand to capture that historic moment, enjoyed a reunion recently. 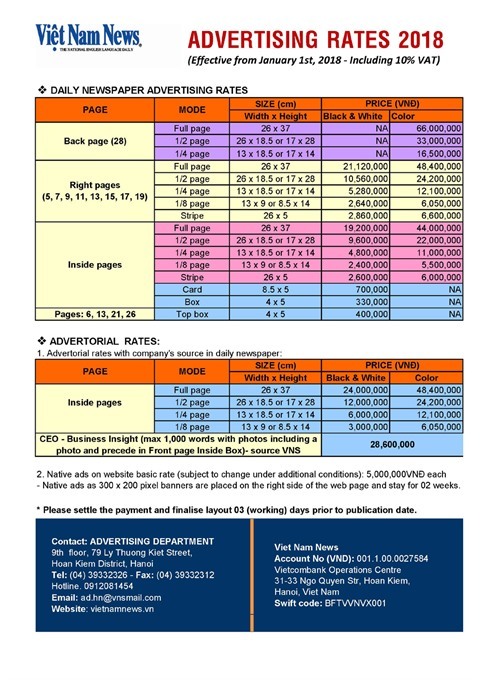 Hoang Trung Hieu reports. For Tran Binh Yen, a 62-year-old war veteran living in the northern province of Ha Nam, memories of the day he and his comrades were in a tank and rushed into the Sai Gon regime's Independence Palace are just as lively as if it happened yesterday, though four decades have passed since then. In those days, Yen (tank driver) and his comrades: Nguyen Quang Hoa (commander), Nguyen Ba Tu (gunner) and Van Quy (gunner) had already taken part in many fierce fights and seen many of their fellows fall before they could reach Sai Gon. "Our company had eight tanks, but only three survived when we reached Sai Gon. The others were destroyed in battle," he said. His Russian tank, numbered 846, belonged to Tank Brigade 203, Army Corps 2. "From the Vinh Yen Railway Station in the northern province of Vinh Phu, our tanks were transported by train to Vinh City in the central province of Nghe An. From Vinh we drove to Quang Tri Province in 1972. Then we gathered near the Cua Viet port and dug shelters to hide the tanks before crossing the Ben Hai River," he recalled. 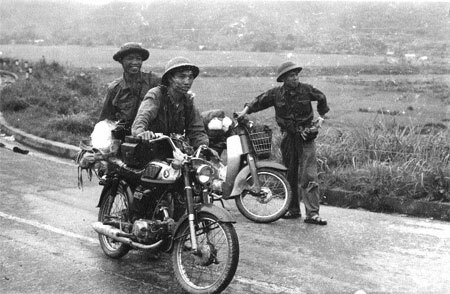 His unit later fought violent battles in Dong Ha, Doc Mieu-Con Tien in Quang Tri. In 1973, they moved to battlefields near Highway 9 and the mountainous area of A Sau in A Luoi District. In 1975, Yen's tank company, along with other army corps joined the Ho Chi Minh Campaign to liberate South Viet Nam. During the war, his company captured three tanks and two armoured vehicles from the Sai Gon troops. Tank 846 destroyed three tanks of the enemy. "Many battles were very fierce. Once, an enemy bullet ripped through the gun barrel of a tank in our company, and our company commander was seriously wounded. We were lucky not to be shot," he said. From April 26 to 29, 1975 the Liberation forces attacked and occupied the Armoured Vehicle Officers School near Sai Gon. On the morning of April 30, Yen's unit swept through Thu Duc on the outskirts of the city. During these battles, five tanks from Yen's unit were destroyed, and three remained. 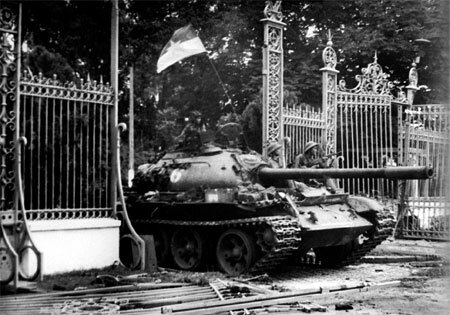 The unit was then provided with four new tanks, ramping up the total to seven, which then entered the Independence Palace on the morning of April 30, 1975. After he left the army in 1980, Yen returned home to Ba Sao Town in the Kim Bang District of Ha Nam Province, and became a farmer. He now works on two hectares of land and also raises ducks. At a get-together on March 8 this year, the former teammates met at the house of their former commander Nguyen Quang Hoa, and everyone was very happy. 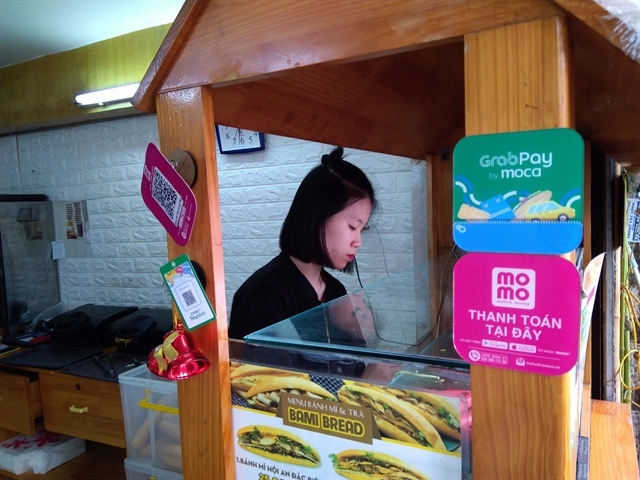 Hoa, 65, now lives in La Khe Ward of Ha Dong District in Ha Noi. He was injured twice during the war. Once, when he got out of the tank to repair its chain, a mine exploded nearby and injured him. Another time, Hoa said he only realized he was injured by a shell fragment when he saw his hand full of blood during a battle. After the war, Hoa was granted a Feat of Arms Order and a Liberation Soldier Order. 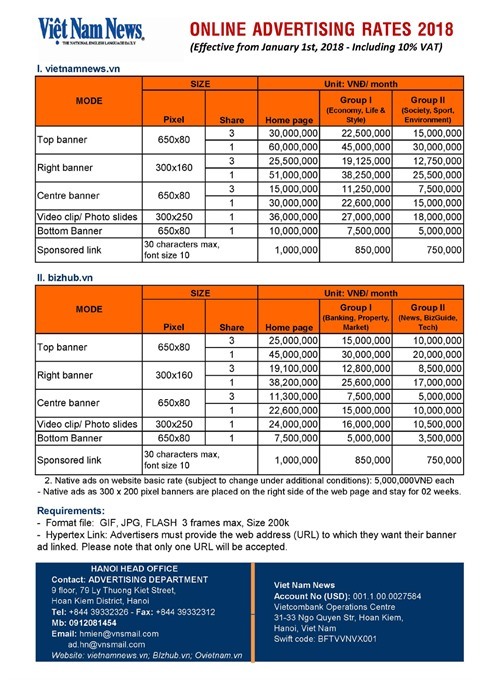 He also received an allowance for Agent Orange impacted people, which was VND1 million (about US$48) per month. Nowadays, the veteran earns his living by selling eggs at home. Journalist Tran Mai Huong, former General Director of the Vietnam News Agency, was a war correspondent and was at the Independence Palace when the Liberation forces' tanks rushed in. 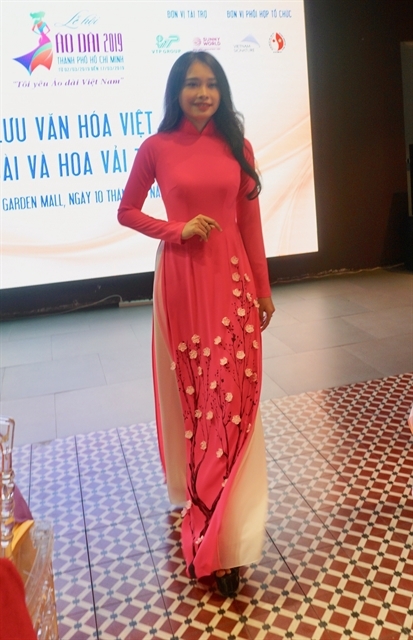 "The news agency had set up a group of vanguard war correspondents, including photographers Dinh Quang Thanh, Hua Kiem, Vu Tao and me," said Huong. "I came to the Palace in a command car. I was there for a few minutes before the tank 846 came through the Palace's gate. It was around noon time. When the tank was passing through the gate I captured one shot of it. At the time, I did not think the photo would be okay, but it turned out to be useful," he said. 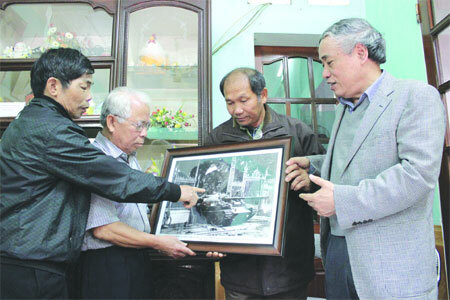 The Chairman of the Viet Nam Association of Photographic Artists, Vu Quoc Khanh, said that among the many photos of tanks taken at the time, Mr Huong's photo was the best in terms of photography. "I think Mr Huong was lucky. Many photographers also took photos of the tanks, but his photo was successful in capturing a very beautiful moment. It had enough great elements of photography, such as the correct amount of light and a great view of the flag on the tank." "The photo is genuine, it has value and historical significance," said Khanh. Veteran Hoa and all the other veterans at the meeting confirmed the photo's genuineness. "Today we have had the opportunity to meet our old comrades, and all of us feel so happy." 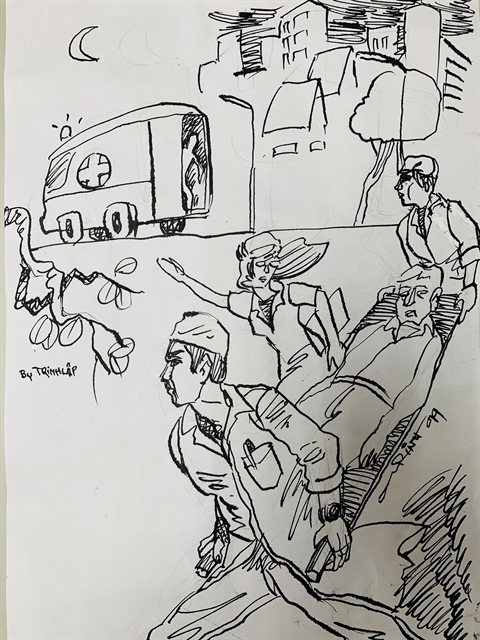 "I can confirm that on April 30, 1975, after our tanks gathered in the Independence Palace for several hours, we were withdrawn from the Palace at 4pm that day, and we didn't return to the Palace. During the time when our tanks were at the Palace, we did not see or participate in any filmmaking scene. So we can confirm that Mr Huong's photo was taken at the spot, and was not 'pre-arranged for a nice shot,' as some have opined," Hoa said. Veteran Nguyen Ba Tu, 62, recalled that, in 1995, on the 30th anniversary of South Viet Nam's Liberation Day, he visited the Thong Nhat Palace (formerly Independence Palace) in HCM City and suddenly recognised the photo of his tank with himself acting as its gunner. Among the tank's entire crew, Tu is now living the hardest life. After the war, he worked as a bus driver from 1995 to 2010. But he had to stop working, because of the effect of Agent Orange, and Tu suffered from throat cancer, because of which his larynx had to be cut off. Therefore, he can hardly speak now and has to write whenever he wants to communicate with others. Tu has three children, but his first child also suffered from the impact of Agent Orange. His wife, now the family's only breadwinner, sells steamed sticky rice in front of their house on Hoang Hoa Tham Street. Journalist Tran Mai Huong often concerns himself with the lives of these veterans. Recently, he went with the representatives of the Viet Nam Bank for Social Policies and the Tin Tuc (News) daily of the Vietnam News Agency to present Tu with VND10 million (about $490).